West Auckland was settled by many migrants from a variety of countries. One of those families was the Semadeni family from Switzerland who have lived on Te Atatū peninsula since 1910. Antonio Semadeni emigrated to New Zealand in 1860. One of the earliest mentions of him in records is in the Waipu area in 1864. 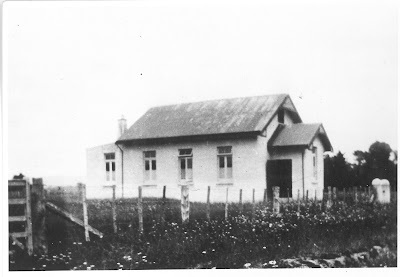 Te Atatū North 1910s. From material lent by Mr Conrad Cass in January 1986, J. T. Diamond Collection. Garriock, Barbara, “Early Te Atatū,” West Auckland Historical Society newsletter 72 (July 1985), West Auckland Research Centre, Auckland Libraries. One of Antonio’s sons, Edward Adam Semadeni (1870 – 1931), a wood turner from Mount Eden and his wife Ethel Cozens (nee Probert) (1874 – 1933) acquired land in Harbour View Road seeking a rural farming life style in 1910. Photographer unknown. Edward and Ethel Semadeni, date unknown. Semadeni Family Collection. Edward and Ethel completed building the brick house that was already on the land. The bricks came from many of the brickworks that existed in Te Atatū at that time giving it a patch work effect. Edward Semadeni and his wife were devout Methodists. He was the Superintendent of Sunday School from 1910 - 1931 and his wife played the organ. The church services were held in the local school originally, until the old Methodist Church was built (the building next to the present church) in 1924 by local residents on land donated by Mr Thomas. The bricks came from the Hartshorn Brick Works chimney. Photographer unknown. Te Atatū Methodist Church, 1926, Auckland Libraries Heritage Collections, Te Atatū Print Collection. 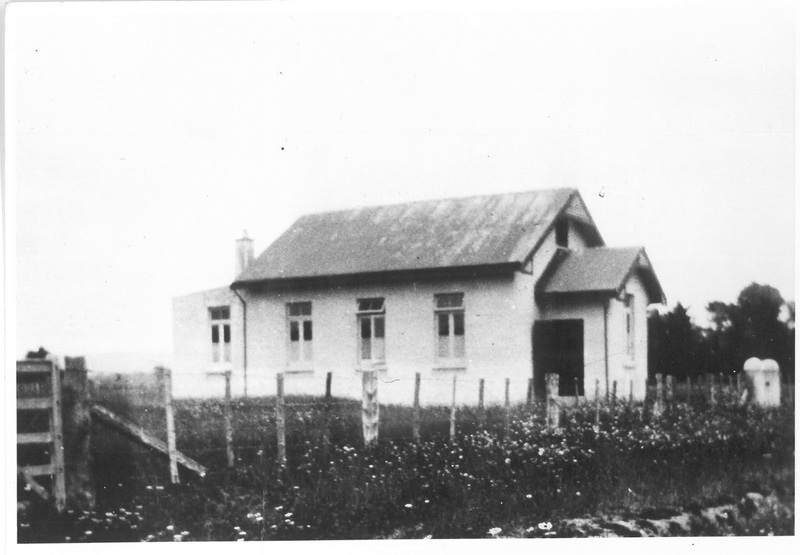 To find out more about the history of the Te Atatū Methodist church view the Te Atatū Methodist Church in Te Atatu Union Parish (Methodist Presbyterian) : centennial, 1910 – 1920 edited by Barbara Sedon. 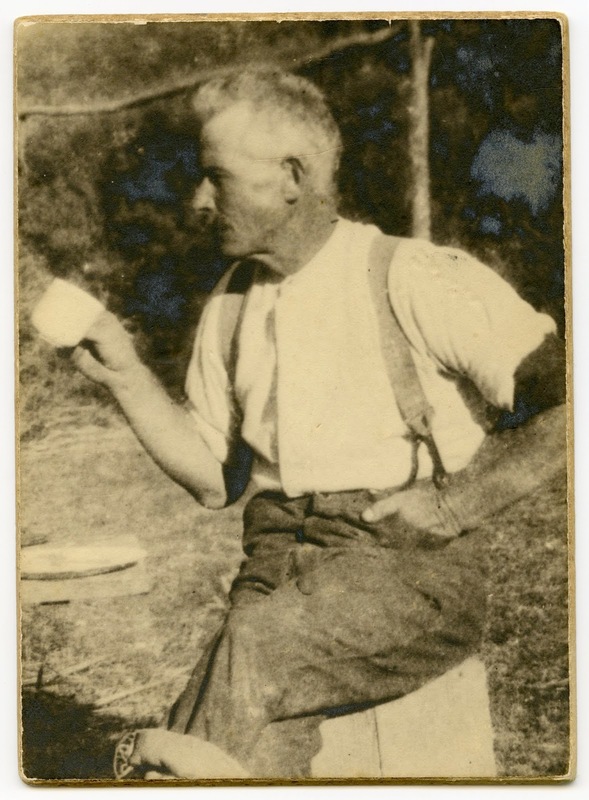 This photo of Edward Adam Semadeni was taken later in life at Bethells Beach while camping with his son Casper and catching lots of fish. Photographer unknown. Edward Adam Semadeni at Bethells Beach, date unknown. Semadeni Family Collection. In 1933 after the death of Edward and Ethel Semadeni the red brick villa and the land it stood on were sold. The house known as the “Historic Brick Villa” and the land surrounding it became the property of the Auckland Harbour Board in 1951, and was passed into council ownership as part of the Harbourview-Orangihina reserve on the waterfront. For more information about the history of the “Historic Brick Villa” go to the Local History Online database and search the West Auckland Newspapers Index. Newspaper articles in the Western Leader can be viewed at the West Auckland Research Centre on Level 2 of Waitākere Central Library, Henderson. Edendale School Sandringham Auckland: Golden Jubilee 1909-1959, printed by Anchor Prty, 1959. Filmer Casper (Bud) Semadeni and Thelma Jean Semadeni. The Semadeni Family : a short history. F.C. Semadeni. 1998. Filmer Casper Semadeni. “Interview with Anna McGlashan.” Auckland Libraries Heritage Collections, 14 November 2017, OH-1242-002. Rani Timoti. Historic brick villa will help to bring home environmental message. Western Leader, 18 January 2005, p.6-7.